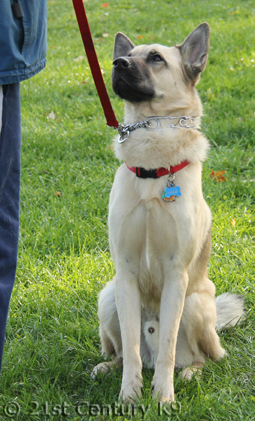 Windsor Ontario Basic Obedience Dog Training Class, puppy training to adult dogs. We train all dogs. Serving Windsor Ontario, Essex, County, Kent County and the Greater Detroit Area. Train with professional Dog Trainer Mike Beckett aka The 21st Century Dogman. Undecided about where to train your dog? Please feel free to visit 21st Century K9 any Sunday morning and watch a class or participate in a class for free. No obligation. Come on out and see The 21st Century Dogman at work. Level 1 - Basic Obedience: Puppy to Adult dogs welcome. Length of course - six weeks. Day and time - every Sunday at 10:00am. 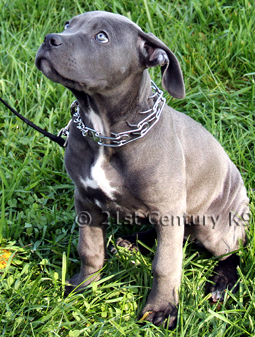 Price - $160.00 per dog, payable before starting the first class. Classes run approximately 1 to 1 1/2 hours. No pre-registration required. Arrive by 9:45am for the first class to allow time for Registration. Call Mike Beckett at 519-736-1780 if you have further questions about class registration. Note: If you miss a Sunday Class, make up classes are Wednesday night at 7:00pm. After completion of Level 1 Basic Obedience you can take any Sunday morning class or Wednesday evening class on a pay-as-you-go basis. $25.00 per class. This allows you more flexibility and convenience to train your dog. Private Lessons are also available to further suit your needs. In Level 1, you will learn reasonable expectations from your dog with clear, simple directions, how to teach your dog to sit, lie down, stay, come, heel, stand, wait, leave it, and the off command. You will learn natural communication between you and your dog and how to recognize aggression and stress. 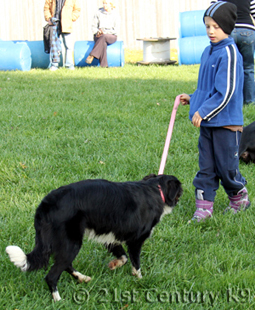 Training is great socialization for your dog. Requirements: Sturdy shoes - no sandals - and long pants must be worn for all classes. Cell phones are not permitted during class. All dogs must be leashed upon entering the property - before they exit your vehicle. All dogs must wear a flat collar and a minimum 6 foot leash. Equipment can be purchased at 21st Century K9. Training is guaranteed. If you see no improvement, training is free. Frustrated with your dog lunging forward on the leash? Jumping up on your houseguests? Constant barking? Chewing your new shoes? Nipping? Biting? Whining? Not coming to you when called? Aggression? Running away? Using The 21st Century Dogman's proven and practical training methods, you will have a well balanced, stable, confident, obedient and happy dog.